Family owned & operated. Only RV Park in the Arkansas Valley located OFF the main highway! Clean and quiet. 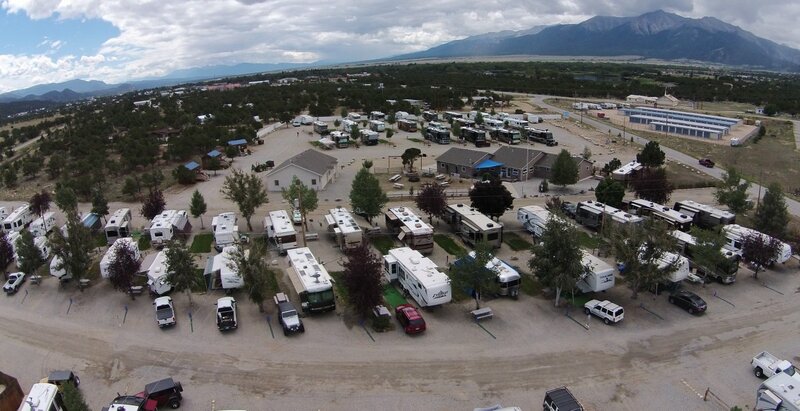 Closest RV Park to Buena Vista. Big Rig Friendly with spacious full hook up sites. Three full service cabin rentals. New clubhouse with bathrooms, showers, laundry, and community gathering area. Good cell phone reception.